Please sign up for the Bay Head School's Spring 2019 Tennis Club. If you have a child in grades 5-8 who is interested in joining the Bay Head School's Spring 2019 Tennis Club, please fill out the form attached and return to school. 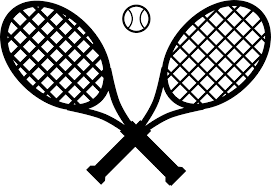 Please do not hesitate to contact Ariane Raffetto with any questions or concerns at araddetto1@gmail.com that you may have regarding the Bay Head School co-ed Tennis Club.